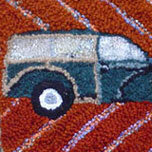 Welcome to my website 'Textured Textiles'. 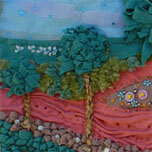 I am a textile artist and live in the beautiful golden valley of Stroud, Gloucestershire. 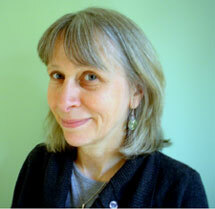 The Cotswolds provide an inspirational backdrop for my creativity. 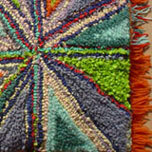 Hook rugging or rag rug making as it sometimes called is central to my textile work. 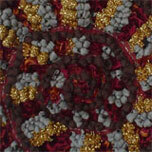 I create bespoke wall hangings, bags and cushions. All of my pieces are individual and unique. I love the recycling ethos of hooked rugging. The materials I use include tee shirts, velvets, cottons, wool, woven, knitted items and plastic bags; basically anything that gives me the right texture and colour. 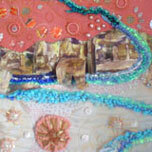 I also incorporate sewing, embroidery, cording, plaiting, corking and appliqué in my work. 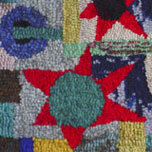 Historically, worn out clothing was cut up and used to make rugs. These rugs were initially put on the end of the bed to keep feet warm, hence the saying 'as snug as a bug in a rug', and then finally used as a floor rug. This craft was revived in the 1930s during the recession, when it was even more important to waste nothing. Using second hand clothes, cast offs from friends and family and visits to charity shops, this artistic activity has great green credentials for the twenty first century. The best part for me is when I find just the right colour or texture fabric. I never run out of ideas. When I am getting near to finishing a piece I am already thinking about the next: from the sea and fossils to my 'Bee Kind' bags and cushions. Pieces that involve a variety of techniques are better if held taut and worked in a frame. 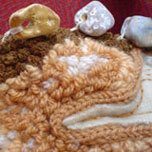 I prefer working on my lap with the hand hook, as I like the more uneven feel it gives to the finished piece. 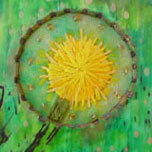 I sometimes use a speed shuttle on larger pieces to fill in areas, which is done on a frame. 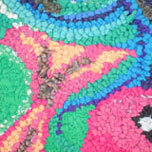 Some fabrics work better with the speed shuttle than others and it is a matter of try it and see. 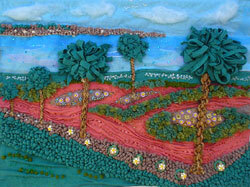 I think this original craft is the textile art of today and there are some fantastic artists out there. For me, as Pablo Picasso said, 'Art washes away from the soul the dust of everyday life'. 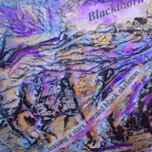 Thank you for visiting and I hope you enjoy my gallery.